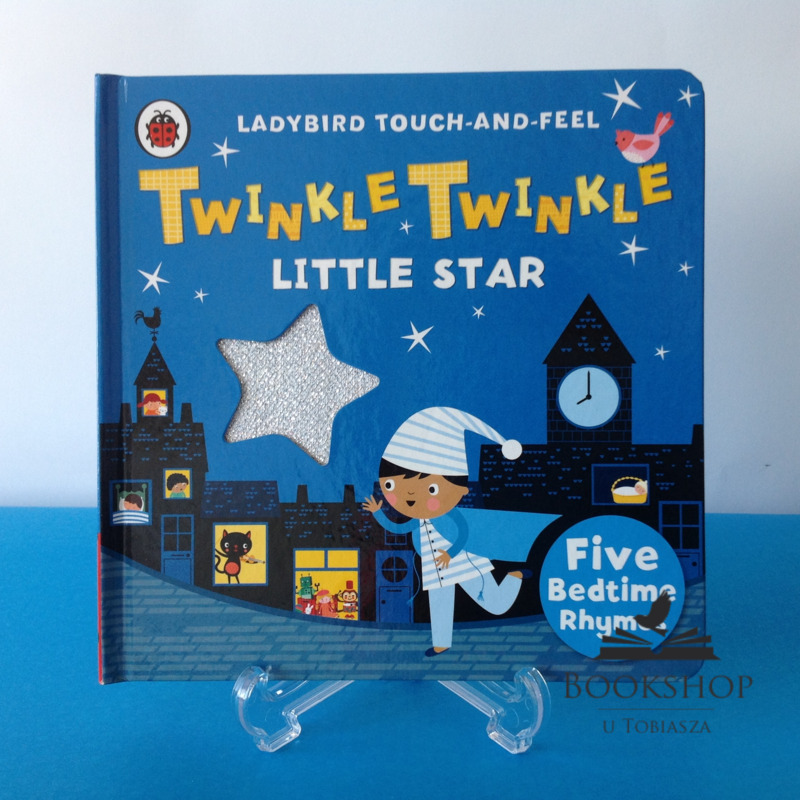 This is the collection of 5 bedtime nursery rhymes includes: ‘Twinkle, Twinkle Little Star’, ‘Wee Willie Winkie’, ‘Hush-a-bye, Baby’, ‘Hey Diddle Diddle’ and ‘Rock-a-bye, Baby’. Little hands will find stimulating pictures and interesting textures such as a sparkly star, a glittery moon and a fleecy blanket in this bright board book. There is a fun question for each rhyme to share with your toddler.